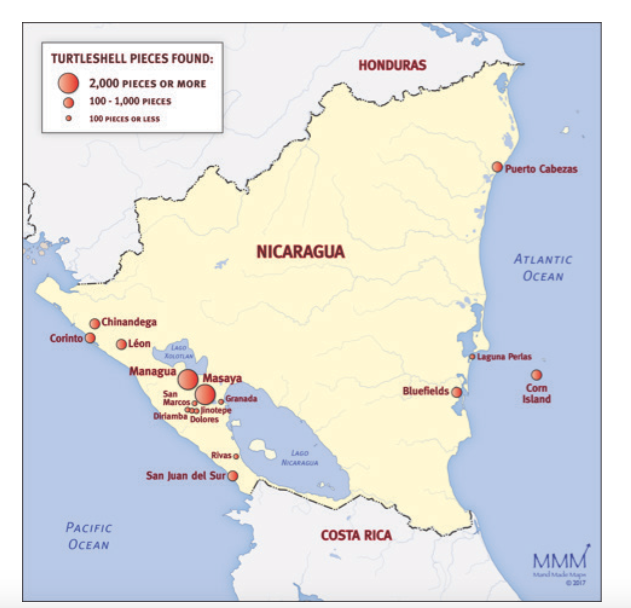 This country is the top site for sales of turtleshell in Central America. 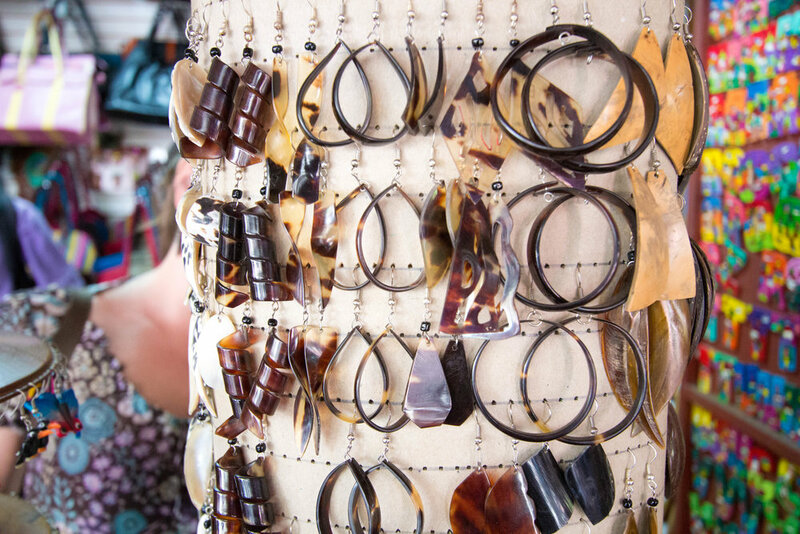 Nearly 70% of shops visited were selling these products, which include jewelry like bracelets, earrings, and necklaces. 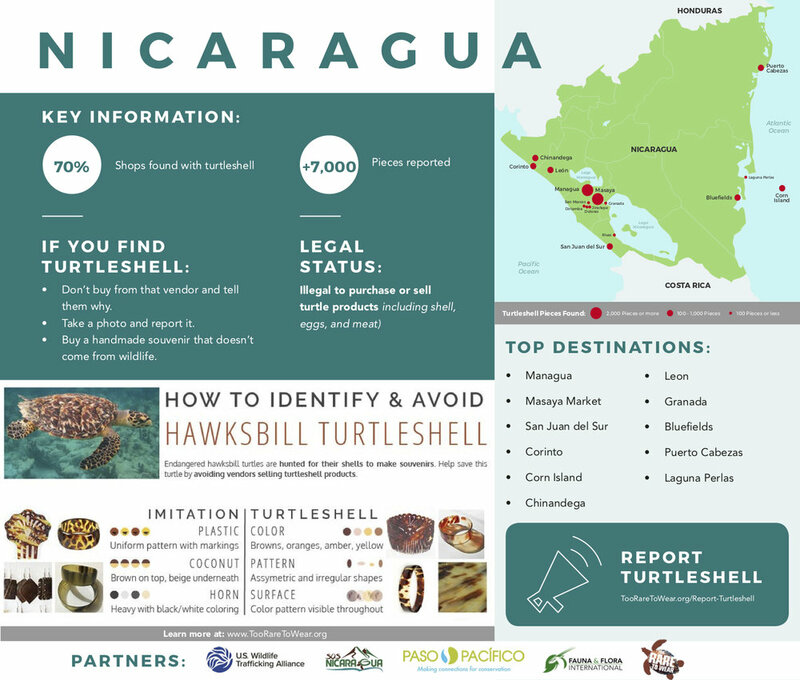 These items were encountered at 14 of the 16 destinations surveyed (87.5 percent), regardless of their distance from the coast. 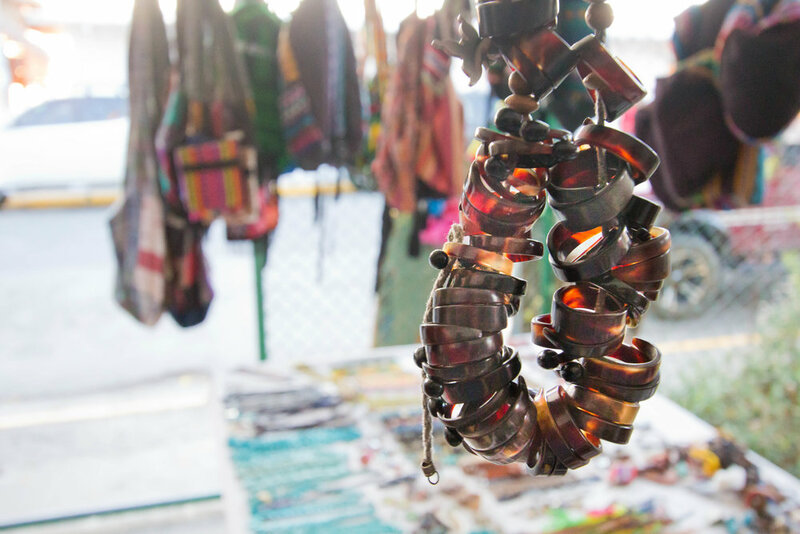 Surveyors visited a total of 165 different locations and hawksbill merchandise was reported at 114 of them, including souvenir shops, temporary street vendors and permanent markets. 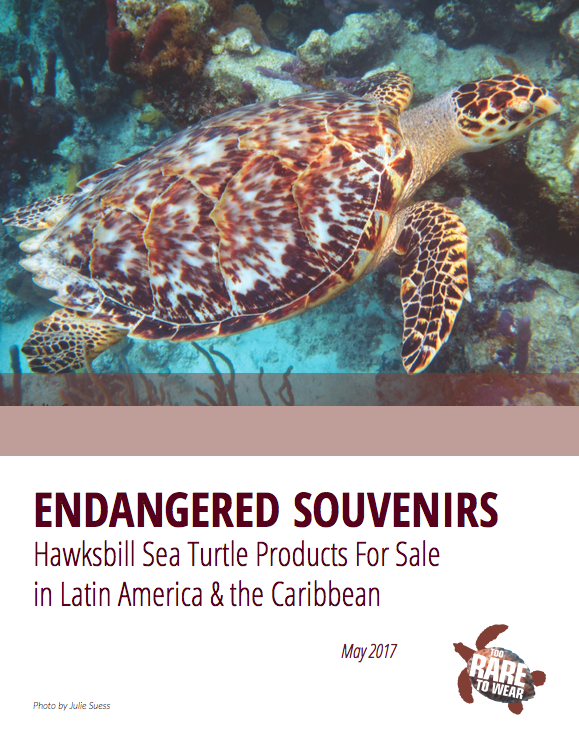 Legal Status: Illegal to sell or buy sea turtle shells, eggs, or meat.